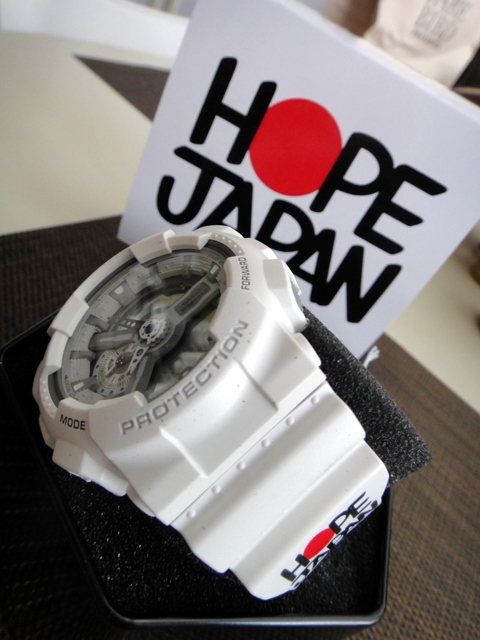 G-Shock determined that it could help Japan and its citizens in the recovery process from one of the worst natural disasters in history. 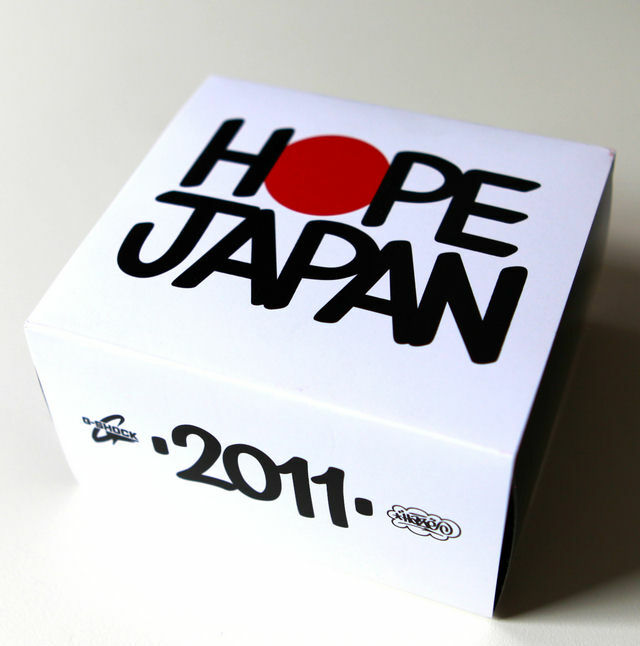 Eric Haze and G-Shock have teamed up once again to create Limited Edition Hope Japan watches. 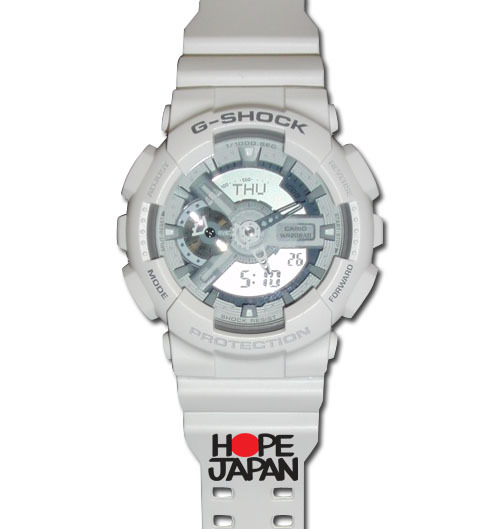 All proceeds from the sale of these Special Edition G-Shock X Eric haze watches will go to help support the ongoing efforts to assist the Earthquake relief activities in Japan. Adding to the powerful look and allure of the GA110 X-Large G series, two new models are introduced with black, grey and white monotone coloring for the case, band and parts. As with the previous models, a layered dial gives a bold 3-D look and Magnetic Resistance adds to the strength of its Shock Resistant and 200M Water Resistant structure. There’s also a 1/1000 Second Stopwatch with Speed Indicator.